MANILA – Cebu Pacific plans to mount flights to Taiwan from airports outside Manila. Cebu Air Inc (CEB) has written the Civil Aeronautics Board (CAB) seeking 5,850 more weekly seats. These will be divided into 1,260 seats each for Clark, Cebu, Davao, Puerto Princesa and Tagbilaran. At present, Cebu Pacific already enjoys 450 weekly seat entitlements. The request comes after the Manila Economic and Cultural Office in Taipei and the Taiwan Economic and Cultural Office in Manila agreed to lift the cap on flights between any point in Taiwan and any point in the Philippines. “We are confident that with our signature low fares will grow the Taiwan market and bring tourists and our fellow overseas Filipinos straight to our prime tourist destinations through our secondary gateways,” CEB external affairs manager Mary Rose Grace Donato-Lim said. Philippine Airlines Fleet Plan: Bombardier, Airbus or Boeing? PHILIPPINE Airlines Inc. (PAL) plans to add eight Boeing 787 Dreamliner or Airbus A350 XWB aircraft through a lease or purchase agreement to be sealed within the year, the company’s president said. The new jets would help the airline cut fuel and maintenance costs — its key expense items — while boosting its non-stop flights to the US and Europe from Manila, PAL President and Chief Operating Officer Jaime J. Bautista told reporters after PAL Holdings, Inc.’s annual stockholders’ meeting at the Century Park Hotel in Manila City. The flag carrier will also buy or lease additional Bombardier turboprops in 2016 to prop up its domestic operations, he said. With the wide-body planes, PAL will replace six of its existing Airbus A340 and “possibly” add two more to these, with delivery expected by 2017 or 2018. In June, PAL sealed a deal to lease two Boeing 777-300ERs to bolster its long-haul operations to the US and London. Before that, PAL had just six Boeing 777-300ERs it uses for its Los Angeles and San Francisco flights, after retiring its last four-engined Boeing 747 jumbo in September last year. That June deal brought its total fleet count to 78 — four out of five jets are Airbus, according to data from aviation think tank Center for Asia Pacific Aviation (CAPA). PAL currently serves six long-haul destinations, one in Europe and five in North America. Meanwhile, PAL said it expects to take delivery of Bombardier turboprops one year after the order was placed. “We have nine turboprop airplanes right now, we may replace them or add more. We are considering the same aircraft — maybe a Q300 or or Q400, or even a smaller jet that can carry 50-70 passengers,” Mr. Bautista said. The smaller planes will address the demand for flights servicing the country’s regional airports. “We have more than 70 airports in the Philippines and we serve only around 30 of them,” he said. 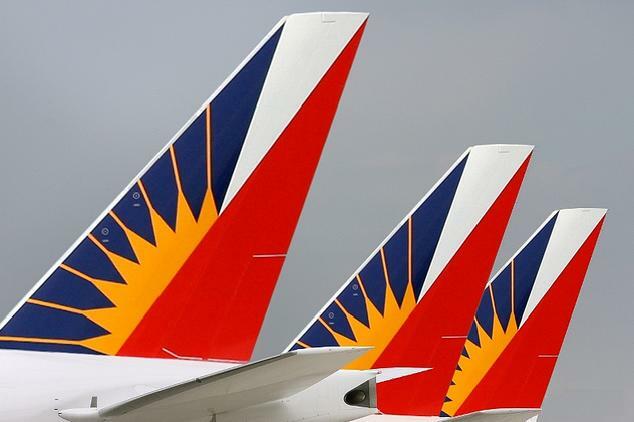 PAL anticipates “losses” in the coming months but still expects to end 2015 “profitable,” owing to encouraging first-half figures and a surge in demand by December. In a statement released on Thursday, PAL said it posted $138 million (P6.4 billion) in net income for the January to July period. Second quarter earnings data alone were not immediately available, but the airline reported an $85 million profit in the three months ending March allowing it to remain in the black for a second straight quarter. Its listed parent firm, PAL Holdings, saw its first-half profit surge by 946% to P5.86 billion from P560.26 million in the same period last year. “There are months when we expect losses because of the lean season — August, September, October and November. Traditionally, airlines lose money during these months but hopefully we will reduce the losses,” Mr. Bautista said. To minimize the impact of the lean season, PAL will “manage capacity” by reducing flights to certain destinations, such as those bound for Los Angeles. “We are still expecting to be profitable for the full year. December will always be profitable,” Mr. Bautista said. The major growth drivers will be passenger growth, yield improvement, and cost control programs such as efficient fuel utilization. Within the year, PAL will close codeshare alliances with a “few” US and European carriers, in addition to its nine existing partnerships. MANILA, Philippines – The Gulf airlines scored a victory, as the Philippines and UAE agreed to expand their air agreement, increasing the maximum flights per week to 35 from 28. This means competition in the Philippines-Middle East market may intensify, as both Philippine and UAE airlines can now increase their flight operations between the two jurisdictions – an initiative local carriers sought to block. Earlier this month, major Philippine carriers Philippine Airlines, Incorporated (PAL)and Cebu Pacific Air asked the Civil Aeronautics Board (CAB) to deny the Gulf carriers’ request for additional flights, saying this will only hurt local airlines. But after air talks from August 27 to August 28 in Manila, the Philippine and UAE air panels decided to sign a new memorandum of understanding (MOU) on air services, enhancing the exchange of traffic rights between the two countries. “This is still subject to the condition that the UAE carrier operating such additional flights to Manila is bound to also operate separately to Clark or Cebu within one year from signing of the MOU,” Arcilla added. According to the CAB chief, this condition forces UAE airlines to invest in developmental gateways outside Manila. This means that local airlines can now fly from Manila to UAE and onward to any country including the UK, the US and Saudia Arabia. “This will improve Philippine connectivity and also the commercial viability of ourroutes to the UAE,” Arcilla said. The Philippine and UAE air panels, according to Arcilla, also agreed on co-terminalization, which means that an airline from one country can fly to a city in the other country without picking up passengers in the domestic leg. “This also improves connectivity and viability. Overall, the talks is a success for Philippine connectivity and network development. The Philippine government panel and our airlines view the exchange as more or less fair, as the increase in traffic rights for both sides, which our airlines opposed, is minimal,” Arcilla said when sought for comment. But for PAL and Cebu Pacific, the added capacity was not needed and accused the state-owned Gulf carriers to be operating on an advantage. The UAE is the largest Middle East destination from the Philippines, accounting for slightly over half of the 80,000 weekly return seats between the Middle East and the Philippines, according to independent aviation think tank Center for Asia Pacific Aviation (CAPA). CAPA added that the UAE is now the fifth largest international destination from the Philippines overall after South Korea, Hong Kong, Singapore, and Japan. “Clearly there is a lot at play – and at stake,” CAPA said in its 2014 report. “Manila is Etihad’s second largest international market after Bangkok. 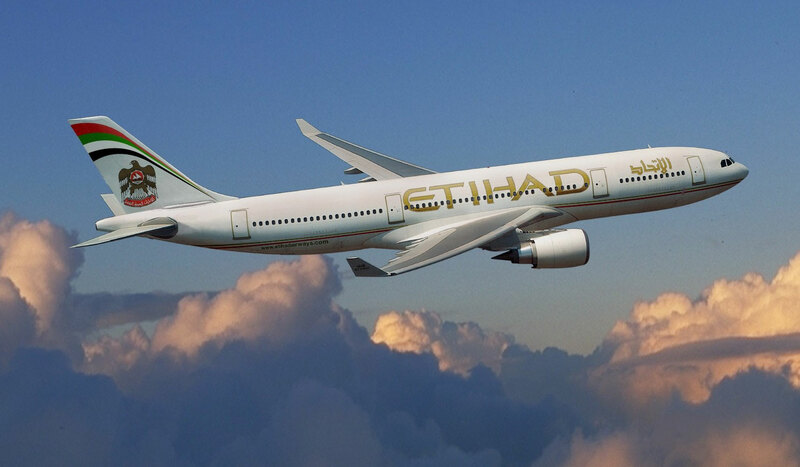 As an added incentive, Etihad would be able to potentially increase its share of the Philippine market at the expense of Emirates,” the report read. Cebu Pacific Air (5J, Manila) President and Chief Executive Officer (CEO), Lance Gokongwei, has outlined the airline’s longterm plans which will see all jet operations eventually being consolidated under Cebu Pacific while all turboprop operations will be placed under its Cebgo (DG, Manila) subsidiary. Speaking at Cebu’s annual stockholders meeting in Manila this week, Gokongwei said that between now and 2022, the Filipino carrier would retire a total of twenty-one aircraft including six A319-100s (to be sold to Allegiant Air (G4, Las Vegas McCarran) this year), seven A320-200s whose leases will expire from 2016 to 2019, and eight ATR72-500s to be retired between 2017/18. The CEO said Cebu’s recent order for sixteen ATR72-600s (with options for an additional ten of the type) would allow the carrier to establish new bases around the country thus alleviating pressure on its Manila hub. 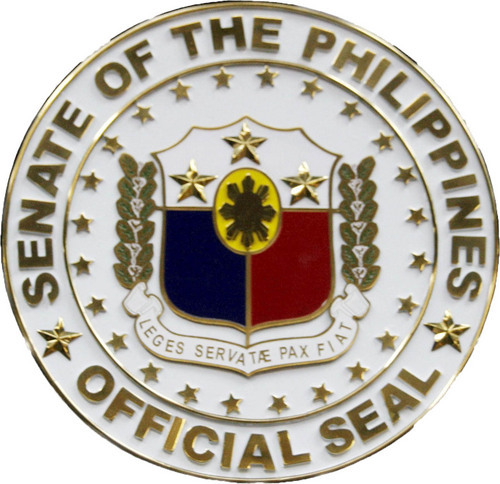 Among the cities mentioned as possible candidates for bases include Cebu, Davao, Iloilo, and Caticlan. To cope with its growth plans, Gokongkwei said Cebu has increased its capital expenditure to USD280 million this year to fund the airline’s fleet acquisition. Buoyed by rising demand on routes to and from the Middle East, Southeast Asian low-cost carriers are beefing up their route maps in a bid to compete with established full-service carriers and cash in on growing travel activity of tourists, workers and pilgrims. The Southeast Asian budget carrier with the most destinations in the Middle East is currently the Philippines’ Cebu Pacific which in June this year added a twice-weekly Manila-Doha flight as its fourth Middle East route in addition to Kuwait City, Riyadh and Dubai, saying that the lowest year-round ticket prices available on the Doha route start at around $200 (one way), approximately 60% lower than other airlines. Cebu Pacific is also the only airline that offers a direct connection between Kuwait City and Manila, as Kuwait Airlines on that route has a one-hour stopover in Bangkok. The airline recently said it wants to step up the number of flights to Qatar — which has the third largest Filipino community in the Gulf — to three or four weekly flights and eventually to daily flights. Cebu Pacific is also the first and only Philippine carrier to serve Qatar as Philippine Airlines does not include Doha in its route map. The only drawback for Cebu Pacific in its Middle East expansion was when it suspended its Manila-Dammam twice-weekly flights in March this year due to unsatisfactory passenger load. A low-cost carrier planning to include the Middle East in its flight schedule is Singapore-based Scoot, a subsidiary of Singapore Airlines. According to Scoot’s CEO Campbell Wilson, the carrier will launch six to eight new destinations in the coming months, has plans to double seat capacity over the next 12 months and is on schedule to complete its 11-strong Boeing 787 fleet by next year’s first quarter and increase staff by 30% to 1,000, including new pilots and cabin crew. Wilson did not specifically name new destinations in the Middle East, but they could probably be Dubai, Abu Dhabi or Doha, observers assume. Indonesia’s Lion Air expanded its services to Saudi Arabia earlier this year and increased its Jakarta-Jeddah direct flights from twice weekly to five a week on its Boeing 747-400 aircraft which can carry more than 500 passengers. “The flight frequency increase is a consequence of a high average load factor, around 80%, since we launched the service last year, and there is still a big potential market to develop on this route,” said Lion Air Managing Director Edward Sirait. Reportedly, Lion Air is also working on getting landing permits from Saudi authorities for Madinah to serve more Indonesian pilgrims. Competition for Lion Air arouse when Indonesia Air Asia X launched its Jakarta-Jeddah flight on July 1 this year, adding another haj flight to the existing Kuala Lumpur-Jeddah route of Air Asia X, the long-haul subsidiary of Southeast Asia’s largest discount airline Air Asia. Meanwhile, troubled Malaysia Airlines said it will reduce capacity between Kuala Lumpur and Middle East destinations by 25%. The carrier, which is currently in a massive restructuring phase, has already limited presence in the Middle East with services cut down to only Dubai and Jeddah. Dubai was suspended in early 2012 as part of the last restructuring but reinstated in 2013 and has so far survived the current restructuring initiative. Other destinations such as Dammam, Kuwait City, Beirut, Cairo and Manama have been terminated and replaced with code-share flights with Middle East partner airlines. LEGAZPI CITY, Albay — The refurbishing of the Legazpi International Airport passenger terminal has been completed, the Civil Aviation Authority of the Philippines announced Thursday. The terminal, which cost P40 million to upgrade, now boasts improvements that make it environment-friendly, such as wide glass walls that allow natural light to illuminate the interior, reducing electricity use while offering a view of the runway back-dropped by iconic Mayon Volcano. It also has wider spaces, including separate international arrival and pre-departure areas, and enough seats to accommodate more than 500 passengers at a given time. The terminal also houses the offices of the Bureau of Immigration, Customs and Human/Plant Quarantine and Philippine Drug Enforcement Agency. The improvement of the Legazpi airport terminal was funded by revenues generated by the CAAP. The airport can accommodate medium-sized commercial jets and military aircraft on its single runway. 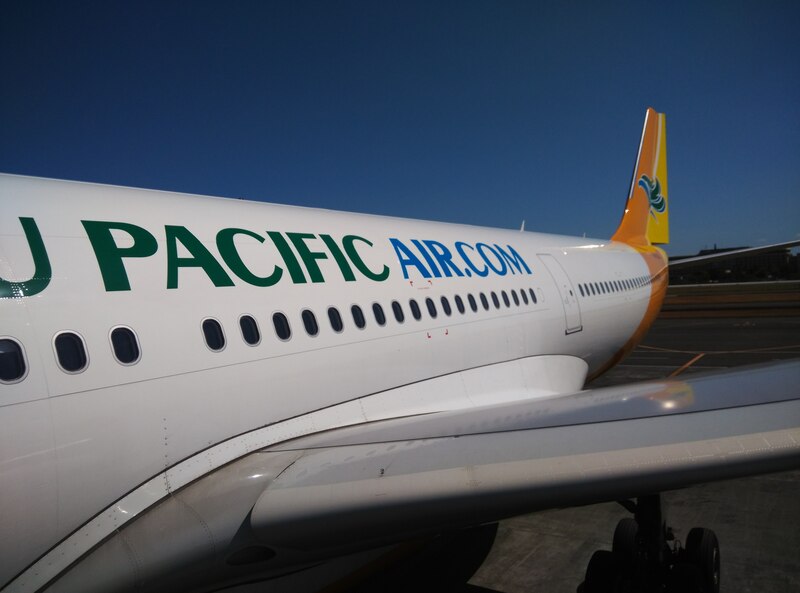 It currently handles eight regular flights of Philippine Airlines, Cebu Pacific and CebGo (Tiger Air) from Manila and Cebu, as well as international charters, mostly from China. Although operating as a sunrise-sunset facility due to the ongoing improvement and installation of its instrument landing system, the airport can handle night landings and take-offs upon prior notice. Area Center V covers the Legazpi, Masbate, Naga, Sorsogon, Virac, Bulan and Daet airports. MANILA, Philippines – Philippine Airlines Incorporated (PAL) and Cebu Pacific Air are asking once again the Philippine aviation regulator to deny the requested additional United Arab Emirates (UAE) flight capacity, saying this will only hurt local airlines. The Philippines is set to hold air talks with the UAE at the end of August and possibly increase flights between both countries. PAL said in a statement on Wednesday, August 19, that many government-subsidized UAE airlines have been lobbying for more flights into the Philippines to carry passengers to destinations beyond the country, to the detriment of Philippine-based carriers. “We call on the Philippine panel to the PHL-UAE air talks to refrain from giving Middle East carriers undue advantage by granting more capacity and frequency beyond what the market requires,” PAL President Jaime Bautista said in the statement. Citing an interview with Manila Times in June, PAL said a Cebu Pacific senior executive expressed concerns over the Philippines’ plans to enter a fresh round of air talks with the UAE, given Philippine entitlements have yet to be fully utilized by local airlines. “Cebu Pacific believes that a new round of air talks with the UAE should not be held until all available Manila-use entitlements are fully utilized by Philippine carriers who are ready, willing, and capable of operating routes to UAE, including Cebu Pacific,” PAL said as it quoted JR Mantaring, officer-in-charge of Cebu Pacific corporate affairs. According to PAL and Cebu Pacific Air, there are over 700,000 Filipinos working in the UAE. According to PAL, the US government is looking into allegations of unfair practices of carriers from the UAE and Qatar that are subsidized by their governments by as much as $42 billion. PAL’s Bautista said the Philippine air panel should learn from the bitter experience of major US airlines in dealing with their counterparts from the Arabian Gulf, including Emirates and Etihad. “We hope our own government will promote fair competition and support our airlines who have invested much in re-establishing air links to the Middle East and Europe,” Bautista said. But according to Emirates, allegations of subsidy and unfair competition leveled by the major US legacy carriers – Delta, United and American Airlines – are completely false. 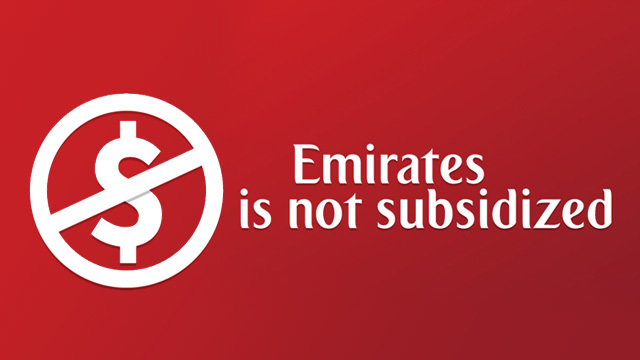 “The allegations of subsidy and unfair competition is completely false and we have recently released a point-by-point, fact-based response that systematically disproves these allegations,” the UAE-based airline said in a statement. In December 2014, PAL and Cebu Pacific scored victory after the government penalized Emirates Airlines from using flight frequencies beyond its allocation for the Manila-Dubai route. 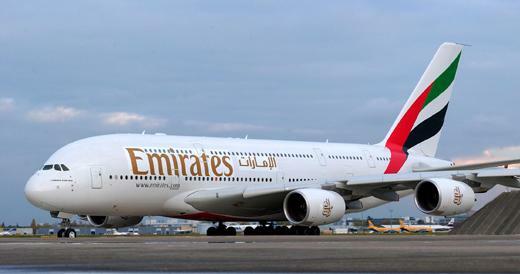 The Civil Aeronautics Board has fined Emirates P1.8 million ($38,838.21), and has ordered the airline to stop selling tickets for a third daily flight for schedules beyond December 26, 2014. PAL said United, Delta, and American Airlines formed a coalition calling on Washington to enforce the open skies agreement, which, they said, is weighted in favor of Gulf carriers. It asked the US government to put a temporary block on new US-bound services by Etihad Airways, Emirates, and Qatar Airways, PAL said. Flights from Davao to Cagayan will also switch from early October onwards. Formerly Tigerair Philippines (DG, Clark), Cebgo will be transformed into an all-turboprop operation following an order for sixteen ATR72-600s (with options for an additional ten) placed with Avions de Transport Régional (Toulouse Blagnac) earlier this year. Good start considering Cebu Pacific just started flying to Sydney last September 9, 2014. To date, it has captured 37% of the MNL-SYD route. 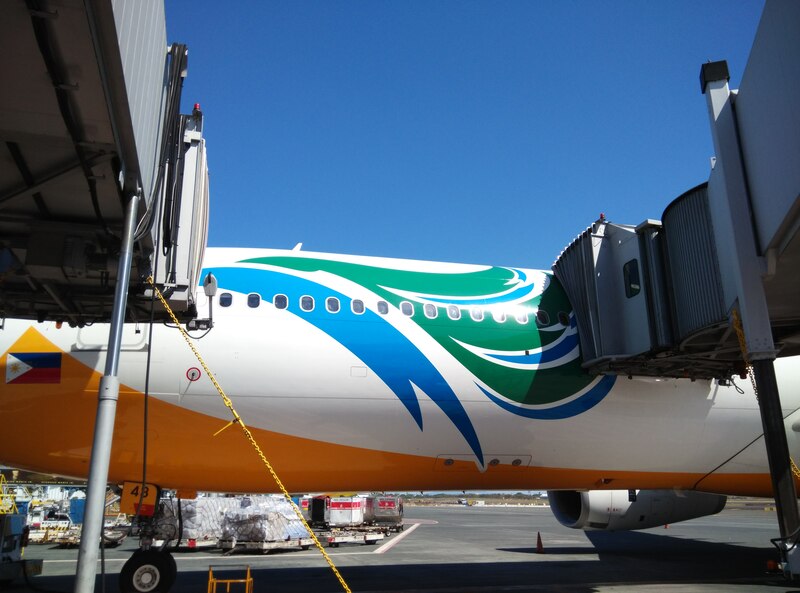 In May 2015, Cebu Pacific carried 11,018 passengers on the Manila – Sydney route. The airline began operating four times weekly non-stop flights to Sydney on 9 September 2014, and added a fifth frequency three months later. The airline is the only low-cost carrier operating the route. From September 2014 to May 2015, Australia’s Bureau of Infrastructure, Transport, and Regional Economics (BITRE) reported a 62% year-on-year increase in passenger traffic between Manila and Sydney. During this nine-month period a total of 232,876 passengers flew on the route with Cebu Pacific carrying 85,264 passengers or 37% of total passenger traffic. “The significant passenger and cargo volume growth between Manila and Sydney validates the Cebu Pacific effect. CEB’s low fares continue to drive trade and tourism between our countries. We look forward to offering the most affordable fares to even more destinations in Australia in the coming months,” said Alex Reyes, CEB General Manager for Long Haul Division. CEB’s flights to Sydney utilize the airline’s brand-new Airbus A330-300 fleet with a configuration of 436 all-economy class seats.